Owners Mayra De Leon and her husband, Sergio De Leon. People thought Mayra and Sergio De Leon were crazy for opening a Hispanic grocery store in Spokane, of all places. But the De Leon family wanted something more than just a restaurant. They set out to prove there was demand here for their Hispanic grocery store, bakery and deli. Now, after more than a decade in business with two locations, a taco bar and restaurant and a second on the way, De Leon Foods shows no sign of slowing down. Sergio moved to the U.S. from Mexico when he was 7. When the Fred Meyer store he was working at in Portland went on strike, he moved to Spokane. Mayra is also from Mexico. After working at farms and convenience stores from the age of 14, she wanted more for her life and immigrated in her early 20s. "I just noticed if I keep working there in Mexico, I wouldn't go anywhere," Mayra says. "So I come to the United States." While working as local warehouse custodian, though, Mayra decided she'd had enough. Sergio says his wife's ambition could not be contained. "We had recently got married and my wife's like, 'I can't believe I came all the way from Mexico to clean toilets.' And I said, 'Well, the only difference in the United States is if you set your mind and work hard, you can accomplish anything.'" The couple worked their way up to open their own warehouse business in 1995 called Northwest Freight Handlers. After some time, though, Mayra wanted out. She was interested in selling food like Sergio's parents' restaurant in Portland, but on a much larger scale. "A lot of people in our community, they would have to go all the way to Tri-Cities to pick up their Mexican groceries and stuff," Sergio says. "So we thought it would be a good idea to do something here locally." De Leon Foods uses many of the same family recipes as Sergio's parents' Tortilleria Y Tienda De Leon's in Portland, which was named one of the best 64 taco restaurants in the country by Rachel Ray Every Day magazine. 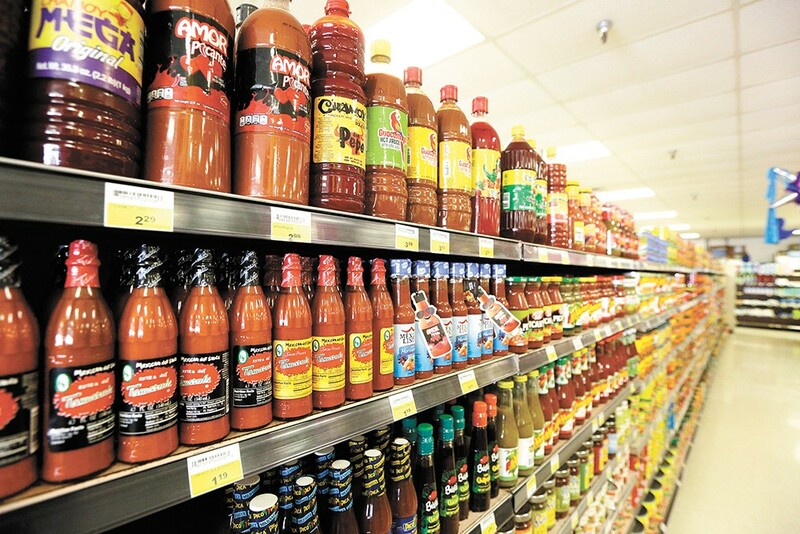 The De Leons' two Spokane stores sell a variety of Hispanic foods, like menudo soup, made from cow stomach, and various dishes prepared with cactus. After the grocery store's grand opening in 2006, Sergio admits he gained 20 pounds from eating so much. The temptation of warm, freshly made pastries from their bakery was too much for him. Tortillas are one of De Leon Foods' most popular products. An on-site factory makes more than 19,000 tortillas each hour. In 2014, the De Leon's son Anthony, whose face is the logo of the company, had the idea to sell green and blue tortilla chips in honor of the Seattle Seahawks making it to the Super Bowl. The chips were so popular there were lines out the door, some people waiting two hours to buy some. "We sold so many chips, we couldn't keep them on our shelves," Sergio says. 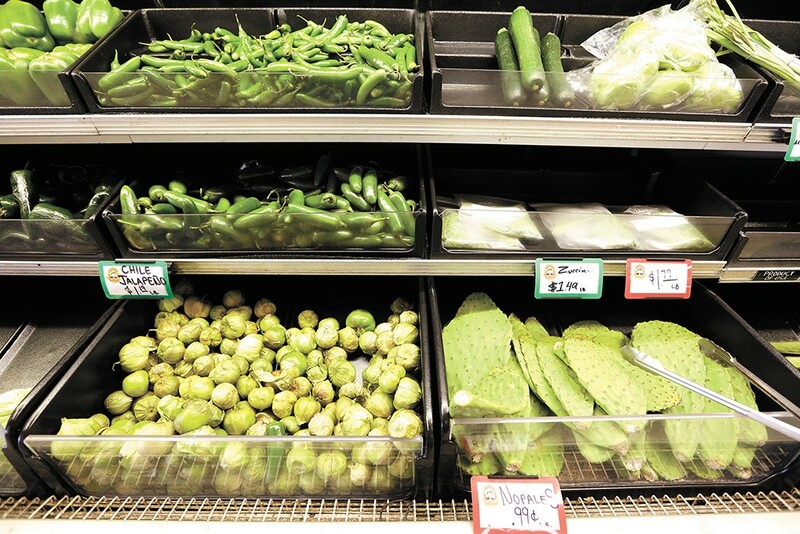 De Leon Foods is also well known for its tamales, which are big sellers during the holiday season, and its Hatch chile peppers. The specific pepper cultivar comes annually from Hatch, New Mexico, and is often scarce in this area when the chilis are in season each summer. Sergio says people come from as far as Canada and Montana to buy the peppers, and up to 50 or 100 pounds in some cases. "And the smell that the peppers give when they're being roasted, it's a very unique smell, and it takes people back to when they were younger," Sergio says. Less than a year ago, De Leon's Taco & Bar opened in North Spokane. Recently, the couple purchased another space near Gonzaga University and hope to open up their second location for De Leon's Taco & Bar sometime this fall.